This article is about the swing musician. For other uses, see Glenn Miller (disambiguation). Alton Glenn Miller (March 1, 1904 – missing in action December 15, 1944) was an American big band musician, arranger, composer, and bandleader in the swing era. He was the best-selling recording artist from 1939 to 1943, leading one of the best known big bands. Miller's recordings include "In the Mood", "Moonlight Serenade", "Pennsylvania 6-5000", "Chattanooga Choo Choo", "A String of Pearls", "At Last", "(I've Got a Gal In) Kalamazoo", "American Patrol", "Tuxedo Junction", "Elmer's Tune", and "Little Brown Jug". While he was traveling to entertain U.S. troops in France during World War II, Miller's aircraft disappeared in bad weather over the English Channel. In 1923, Miller entered the University of Colorado in Boulder, where he joined Sigma Nu Fraternity, but spent most of his time away from school, attending auditions and playing any gigs he could get, including with Boyd Senter's band in Denver. He dropped out of school after failing three out of five classes one semester, and decided to concentrate on making a career as a professional musician. He later studied the Schillinger technique with Joseph Schillinger, under whose tutelage he composed what became his signature theme, "Moonlight Serenade". In 1926, Miller toured with several groups, eventually landing a good spot in Ben Pollack's group in Los Angeles. He also played for Victor Young, allowing him to be mentored by other professional musicians. In the beginning, he was the main trombone soloist of the band. But when Jack Teagarden joined Pollack's band in 1928, Miller found that his solos were cut drastically. From then, he realized that, rather than being a trombonist, his future lay in arranging or writing music. He also had a songbook published in Chicago in 1928 entitled Glenn Miller's 125 Jazz Breaks for Trombone by the Melrose Brothers copyrighted in 1927. During his stint with Pollack, Miller wrote several musical arrangements of his own. He also co-wrote his first composition, "Room 1411", written with Benny Goodman and released as a Brunswick 78, 4013, credited to Bennie Goodman's Boys. In 1928, when the band arrived in New York City, he sent for and married his college sweetheart, Helen Burger. He was a member of Red Nichols's orchestra in 1930, and because of Nichols, Miller played in the pit bands of two Broadway shows, Strike Up the Band and Girl Crazy (where his bandmates included future big band leaders Benny Goodman and Gene Krupa). During the late 1920s and early 1930s, Miller managed to earn a living working as a freelance trombonist in several bands. On a March 21, 1928, Victor session, Miller played alongside Tommy Dorsey, Benny Goodman, and Joe Venuti in the All-Star Orchestra, directed by Nat Shilkret. During this period, Miller arranged and played trombone on several significant Dorsey Brothers OKeh sessions including "The Spell of The Blues", "Let's Do It" and "My Kinda Love", all with Bing Crosby vocals. On November 14, 1929, an original vocalist named Red McKenzie hired Miller to play on two records that are now considered to be jazz classics: "Hello, Lola" and "If I Could Be With You One Hour Tonight". Beside Miller were clarinetist Pee Wee Russell, guitarist Eddie Condon, drummer Gene Krupa and Coleman Hawkins on tenor saxophone. In the early-to-mid-1930s, Miller also worked as a trombonist, arranger, and composer in The Dorsey Brothers, first when they were a Brunswick studio group (under their own name and providing accompaniment for many of The Boswell Sisters sessions), and finally when they formed an ill-fated co-led touring and recording orchestra. Miller composed the songs "Annie's Cousin Fanny", "Dese Dem Dose", "Harlem Chapel Chimes", and "Tomorrow's Another Day" for the Dorsey Brothers Band in 1934 and 1935. In 1935, he assembled an American orchestra for British bandleader Ray Noble, developing the arrangement of lead clarinet over four saxophones that eventually became the sonic keynote of his own big band. Members of the Noble band included future bandleaders Claude Thornhill, Bud Freeman and Charlie Spivak. Glenn Miller made his first movie appearance in the 1935 Paramount Pictures release The Big Broadcast of 1936 as a member of the Ray Noble Orchestra performing "Why Stars Come Out at Night". The Big Broadcast of 1936 starred Bing Crosby, George Burns, Gracie Allen, Ethel Merman, Jack Oakie, and Bill "Bojangles" Robinson. The film also featured other performances by Dorothy Dandridge and the Nicholas Brothers, who would appear with Miller again in two movies for Twentieth Century Fox in 1941 and 1942. In late 1937, before his band became popular, we were both playing in Dallas. Glenn was pretty dejected and came to see me. He asked, "What do you do? How do you make it?" I said, "I don't know, Glenn. You just stay with it." Discouraged, Miller returned to New York. He realized that he needed to develop a unique sound, and decided to make the clarinet play a melodic line with a tenor saxophone holding the same note, while three other saxophones harmonized within a single octave. George T. Simon discovered a saxophonist named Wilbur Schwartz for Glenn Miller. Miller hired Schwartz, but instead had him play lead clarinet. According to Simon, "Willie's tone and way of playing provided a fullness and richness so distinctive that none of the later Miller imitators could ever accurately reproduce the Miller sound." With this new sound combination, Glenn Miller found a way to differentiate his band's style from the many bands that existed in the late thirties. Miller talked about his style in the May 1939 issue of Metronome magazine. "You'll notice today some bands use the same trick on every introduction; others repeat the same musical phrase as a modulation into a vocal ... We're fortunate in that our style doesn't limit us to stereotyped intros, modulations, first choruses, endings or even trick rhythms. The fifth sax, playing clarinet most of the time, lets you know whose band you're listening to. And that's about all there is to it." In September 1938, the Miller band began making recordings for the RCA Victor subsidiary Bluebird. Cy Shribman, a prominent East Coast businessman, began financing the band, providing a much needed infusion of cash. In the spring of 1939, the band's fortunes improved with a date at the Meadowbrook Ballroom in Cedar Grove, New Jersey, and more dramatically at the Glen Island Casino in New Rochelle, New York. The Glen Island date according to author Gunther Schuller attracted "a record breaking opening night crowd of 1800..." With the Glen Island date, the band began a huge rise in popularity. In 1939, Time magazine noted: "Of the twelve to 24 discs in each of today's 300,000 U.S. jukeboxes, from two to six are usually Glenn Miller's." There were record-breaking recordings such as "Tuxedo Junction", which sold 115,000 copies in the first week. Miller's huge success in 1939 culminated with his band appearing at Carnegie Hall on October 6, with Paul Whiteman, Benny Goodman, and Fred Waring also the main attractions. From December 1939 to September 1942, Miller's band was featured three times a week during a quarter-hour broadcast for Chesterfield cigarettes on CBS, for the first 13 weeks with the Andrews Sisters and then on its own. 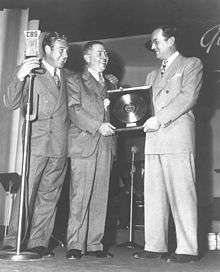 On February 10, 1942, RCA Victor presented Miller with the first gold record for "Chattanooga Choo-Choo". "Chattanooga Choo Choo" was performed by the Miller orchestra with his singers Gordon "Tex" Beneke, Paula Kelly and the vocal group, the Modernaires. Other singers with this orchestra included Marion Hutton, Skip Nelson, Ray Eberle and to a smaller extent, Kay Starr, Ernie Caceres, Dorothy Claire and Jack Lathrop. Pat Friday ghost sang with the Miller band in their two films, Sun Valley Serenade and Orchestra Wives with Lynn Bari lip synching. Miller and his band appeared in two Twentieth Century Fox films. In 1941's Sun Valley Serenade, they were major members of the cast, which also featured comedian Milton Berle, and Dorothy Dandridge with the Nicholas Brothers in the show-stopping song and dance number, Chattanooga Choo Choo. The Miller band returned to Hollywood to film 1942's Orchestra Wives, featuring Jackie Gleason playing a part as the group's bassist, Ben Beck. Miller had an ailment that made laughter extremely painful. Since Jackie Gleason was a comedian, Miller had a difficult time watching Gleason more than once, because Miller would start laughing. Harry Morgan appears as Cully Anderson, the unrequited love interest of Ann Rutherford's character, Connie Ward. Miller was contracted to do a third movie for Fox, Blind Date, but as he entered the U.S. Army, this never panned out. The Glenn Miller Story was released in 1953-1954 by Universal-International. In 2004, Miller orchestra bassist Herman "Trigger" Alpert explained the band's success: "Miller had America's music pulse ... He knew what would please the listeners." Although Miller had massive popularity, many jazz critics of the time had misgivings. They believed that the band's endless rehearsals—and, according to critic Amy Lee in Metronome magazine, "letter-perfect playing"—diminished any feeling from performances. They also felt that Miller's brand of swing shifted popular music away from the "hot jazz" bands of Benny Goodman and Count Basie, and toward commercial novelty instrumentals and vocal numbers. For years, even after Miller died, the Miller estate maintained an unfriendly stance toward critics that derided the band during Miller's lifetime. Miller was often criticized for being too commercial. His answer to the criticism was, "I don't want a jazz band." Many modern jazz critics still harbor similar antipathy toward Miller. Jazz critics Gunther Schuller (1991), Gary Giddins (2004) and Gene Lees(2007) have separately defended the Miller orchestra for whatever deficiencies earlier critics have found. In an article written for The New Yorker in 2004, Gary Giddins says he feels that these early critics erred in denigrating Miller's music, and that the popular opinion of the time should hold greater sway. The article states: "Miller exuded little warmth on or off the bandstand, but once the band struck up its theme, audiences were done for: throats clutched, eyes softened. Can any other record match 'Moonlight Serenade' for its ability to induce a Pavlovian slaver in so many for so long?" Schuller, notes, "[The Miller sound] was nevertheless very special and able to penetrate our collective awareness that few other sounds have..." He compares it partially to "Japanese Gagaku [and] Hindu music" in its purity. Schuller and Giddins do not take completely uncritical approaches to Miller. Schuller says that Ray Eberle's "lumpy, sexless vocalizing dragged down many an otherwise passable performance." However finally Schuller notes: "How much further [Miller's] musical and financial ambitions might have carried him must forever remain conjectural. That it would have been significant, whatever form(s) it might have taken, is not unlikely." Louis Armstrong thought enough of Miller to carry around his recordings, transferred to seven-inch tape reels when he went on tour. "[Armstrong] liked musicians who prized melody, and his selections ranged from Glenn Miller to Jelly Roll Morton to Tchaikovsky." Jazz pianist George Shearing's quintet of the 1950s and 1960s was influenced by Miller: "with Shearing's locked hands style piano (influenced by the voicing of Miller's saxophone section) in the middle [of the quintet's harmonies]". Frank Sinatra and Mel Tormé held the orchestra in high regard. Tormé credited Miller with giving him helpful advice when he first started his singing and song-writing career in the 1940s. Mel Tormé met Glenn Miller in 1942, the meeting facilitated by Tormé's father and Ben Pollack. Tormé and Miller discussed "That Old Black Magic", which was just emerging as a new song by Johnny Mercer and Harold Arlen. Miller told Tormé to pick up every song by Mercer and study it and to become a voracious reader of anything he could find, because "all good lyric writers are great readers." In an interview with George T. Simon in 1948, Sinatra lamented the inferior quality of music he was recording in the late forties, in comparison with "those great Glenn Miller things" from eight years earlier. With opposite opinion, fellow bandleader Artie Shaw frequently disparaged the band after Miller's death: "All I can say is that Glenn should have lived, and 'Chattanooga Choo Choo' should have died." Clarinetist Buddy DeFranco surprised many people when he led the Glenn Miller Orchestra in the late sixties and early seventies. De Franco was already a veteran of bands like Gene Krupa and Tommy Dorsey in the 1940s. He was also a major exponent of modern jazz in the 1950s. He never saw Miller as leading a swinging jazz band, but DeFranco is extremely fond of certain aspects of the Glenn Miller style. "I found that when I opened with the sound of 'Moonlight Serenade', I could look around and see men and women weeping as the music carried them back to years gone by." De Franco says, "the beauty of Glenn Miller's ballads [...] caused people to dance together." In 1942, at the peak of his civilian career, Miller decided to join the war effort, forsaking an income of $15,000 to $20,000 per week in civilian life, including a home in Tenafly, New Jersey. At 38, Miller was too old to be drafted and first volunteered for the Navy but was told that they did not need his services. Miller then wrote to Army Brigadier General Charles Young. He persuaded the United States Army to accept him so he could, in his own words, "be placed in charge of a modernized Army band". After being accepted into the Army, Miller's civilian band played its last concert in Passaic, New Jersey, on September 27, 1942. His patriotic intention of entertaining the Allied Forces with the fusion of virtuosity and dance rhythms in his music earned him the rank of captain and he was soon promoted to major by August 1944. At first placed in the United States Army, Miller was transferred to the Army Air Forces. Captain Glenn Miller served initially as assistant special services officer for the Army Air Forces Southeast Training Center at Maxwell Field, Montgomery, Alabama, in December 1942. He played trombone with the Rhythmaires, a 15-piece dance band, in both Montgomery and in service clubs and recreation halls on Maxwell. Miller also appeared on both WAPI (Birmingham, Alabama) and WSFA radio (Montgomery), promoting the activities of civil service women aircraft mechanics employed at Maxwell. America means freedom and there's no expression of freedom quite so sincere as music. There were also the Miller-led AAF Orchestra-recorded songs with American singer Dinah Shore. These were done at the Abbey Road studios and were the last recorded songs made by the band while being led by Miller. They were stored with HMV/EMI for fifty years, never being released until their copyright expired in Europe in 1994. In summarizing Miller's military career, General Jimmy Doolittle said, "next to a letter from home, that organization was the greatest morale builder in the European Theater of Operations." Miller spent the last night before his disappearance at Milton Ernest Hall, near Bedford. On December 15, 1944, Miller was to fly from the United Kingdom to Paris, France, to make arrangements to move his entire band there in the near future. His plane, a single-engined UC-64 Norseman, USAAF serial 44-70285, departed from RAF Twinwood Farm in Clapham, on the outskirts of Bedford and disappeared while flying over the English Channel. There were two others on board the plane: Lt. Col. Norman Baessell and pilot John Morgan. A 2014 article in the Chicago Tribune reported that, despite many theories that had been proposed, Miller's plane crashed because it had a faulty carburetor. The plane's engine had a type of carburetor that was known to be defective in cold weather and had a history of causing crashes in other aircraft by icing up. The theory that the plane was hit by a bomb jettisoned by Allied planes returning from an aborted bombing raid on Germany is discredited by the log of a plane-spotter that implies that the plane was heading in a direction that would avoid the zone where such bombs were jettisoned. When Miller disappeared, he left behind his wife, the former Helen Burger, originally from Boulder, Colorado, and the two children they had adopted in 1943 and 1944, Steven and Jonnie. In February 1945, Helen Miller accepted the Bronze Star medal for Miller. The Miller estate authorized an official Glenn Miller "ghost band" in 1946. This band was led by Tex Beneke, former tenor saxophonist and a singer for the civilian band. It had a makeup similar to the Army Air Forces Band: it had a large string section. The orchestra's official public début was at the Capitol Theatre on Broadway where it opened for a three-week engagement on January 24, 1946. Future television and film composer Henry Mancini was the band's pianist and one of the arrangers. This ghost band played to very large audiences all across the United States, including a few dates at the Hollywood Palladium in 1947, where the original Miller band played in 1941. In a website concerning the history of the Hollywood Palladium, it is noted "[e]ven as the big band era faded, the Tex Beneke and Glenn Miller Orchestra concert at the Palladium resulted in a record-breaking crowd of 6,750 dancers." By 1949, economics dictated that the string section be dropped. This band recorded for RCA Victor, just as the original Miller band did. Beneke was struggling with how to expand the Miller sound and also how to achieve success under his own name. What began as the "Glenn Miller Orchestra Under the Direction of Tex Beneke" finally became "The Tex Beneke Orchestra". By 1950, Beneke and the Miller estate parted ways. The break was acrimonious and Beneke is not currently listed by the Miller estate as a former leader of the Glenn Miller orchestra. When Glenn Miller was alive, various bandleaders like Bob Chester imitated his style. By the early 1950s, various bands were again copying the Miller style of clarinet-led reeds and muted trumpets, notably Ralph Flanagan, Jerry Gray, and Ray Anthony. This, coupled with the success of The Glenn Miller Story (1953), led the Miller estate to ask Ray McKinley to lead a new ghost band. This 1956 band is the original version of the current ghost band that still tours the United States today. The official Glenn Miller orchestra for the United States is currently under the direction of Nick Hilscher. The officially sanctioned Glenn Miller Orchestra for the United Kingdom has toured and recorded under the leadership of Ray McVay. The official Glenn Miller Orchestra for Europe has been led by Wil Salden since 1990. In the mid-1940s, after Miller's disappearance, the Miller-led Army Air Force band was decommissioned and sent back to the United States. "The chief of the European theater asked [Warrant Officer Harold Lindsay] Lin [Arinson] to put together another band to take its place, and that's when the 314 was formed." According to singer Tony Bennett who sang with it while in the service, the 314 was the immediate successor to the Glenn Miller led AAF orchestra. The Glenn Miller Army Air Force Band's long-term legacy has carried on with the Airmen of Note, a band within the United States Air Force Band. This band was created in 1950 from smaller groups within the Bolling Air Force Base in Washington, D.C., and continues to play jazz music for the Air Force community and the general public. The legacy also continues through The United States Air Forces in Europe Band, stationed at Ramstein Air Base, Germany. Every summer since 1996, the city of Fort Morgan, Colorado, has hosted a public event called the Glenn Miller SwingFest. Miller graduated from Fort Morgan High School where he played football and formed his own band with classmates. Events include musical performances and swing dancing, community picnics, lectures and fundraising for scholarships to attend The School for the Performing Arts, a nonprofit dance, voice, piano, percussion, guitar, violin, and drama studio program in Fort Morgan. Each year, about 2,000 people attend this summer festival, which serves to introduce younger generations to the music Miller made famous, as well as the style of dance and dress popular in the big-band era. Glenn Miller's widow, Helen, died in 1966. Herb Miller, Glenn Miller's brother, led his own band in the United States and England until the late 1980s. In 1989, Glenn Miller's adopted daughter Jonnie purchased the house in Clarinda Iowa where Miller was born. The house is located at 601 South 16th Street (at the corner of West Clark Street) which is also known as Glenn Miller Drive. The Glenn Miller Foundation was created to oversee the subsequent restoration. The house is now part of the Glenn Miller Birthplace Museum. In 1953, Universal-International pictures released The Glenn Miller Story, starring James Stewart. In 1957, a new student Union Building was completed on the Boulder Campus and the new Ballroom was named "The Glenn Miller Ballroom". In 1996, the U.S. Postal Service issued a Glenn Miller postage stamp. In the United States and England, there are a few archives that are devoted to Glenn Miller. The University of Colorado, Boulder, has an extensive Glenn Miller Archive that not only houses many of Miller's recordings, gold records and other memorabilia, but also is open to scholarly research and the general public. This archive, formed by Alan Cass, includes the original manuscript to Miller's theme song, "Moonlight Serenade", among other items of interest. In 2002, the Glenn Miller Museum opened to the public at the former RAF Twinwood Farm, in Clapham, Bedfordshire, England. Miller's surname resides on the "Wall of Missing" at the Cambridge American Cemetery and Memorial. There is a burial plot and headstone for Major Glenn Miller in Arlington National Cemetery, just outside Washington, D.C. A monument stone was also placed in Grove Street Cemetery in New Haven, Connecticut, next to the campus of Yale University. Miller was awarded a Star for Recording on the Hollywood Walk of Fame at 6915 Hollywood Boulevard in Hollywood, California. The headquarters of the United States Air Forces in Europe Band at Ramstein Air Base, Germany, is named Glenn Miller Hall. Miller had a staff of arrangers who wrote originals like "String of Pearls" (written and arranged by Jerry Gray) or took originals like "In The Mood" (writing credit given to Joe Garland and arranged by Eddie Durham) and "Tuxedo Junction" (written by bandleader Erskine Hawkins and arranged by Jerry Gray) and arranged them for the Miller band to either record or broadcast. Glenn Miller's staff of arrangers in his civilian band, who handled the bulk of the work, were Jerry Gray (a former arranger for Artie Shaw), Bill Finegan (a former arranger for Tommy Dorsey), Billy May and to a much smaller extent, George Williams, who worked very briefly with the band as well as Andrews Sisters arranger Vic Schoen According to Norman Leyden, "[s]everal others [besides Leyden] arranged for Miller in the service, including Jerry Gray, Ralph Wilkinson, Mel Powell, and Steve Steck." In 1943, Glenn Miller wrote Glenn Miller's Method for Orchestral Arranging, published by the Mutual Music Society in New York, a one hundred sixteen page book with illustrations and scores that explains how he wrote his musical arrangements. Miller composed individually or in collaboration with others at least fourteen songs that are available on recordings. He added lyrics to an additional tune. These and many other songs were recorded by Miller with his pre-war civilian bands and his Army Air Force band. George Siravo (1916–2000) was an arranger with Glenn Miller's first band in the late 1930s. Siravo went on to become a staff arranger with Columbia Records in the 1940s, working with Frank Sinatra and Doris Day. Billy May (1916–2004), a trumpeter and an arranger for the civilian band, became a much-coveted arranger and studio orchestra leader after that band broke up, going on to work with Frank Sinatra, Rosemary Clooney, Anita O'Day, and Bing Crosby, among other singers of the post-war era. Cornetist Bobby Hackett (1915–1976) solos on "A String of Pearls" with Miller in 1941 for Bluebird records. " Hackett went on to work with Jackie Gleason and Dizzy Gillespie. Johnny Desmond (1919–1985), a lead vocalist from the Army Air Force Band, became a popular singer in the 1950s, and appeared on Broadway in the 1960s in Funny Girl with Barbra Streisand. Kay Starr (born 1922) became a pop, jazz and country singer in the post-war period. In 1939, Marion Hutton, the regular "girl singer", became sick and sixteen-year-old Kay Starr was flown in to replace her. Kay Starr's two recordings with Glenn Miller were two 1939 sides, "Baby Me" and "Love With a Capital You". Norman Leyden (1917–2014), an arranger from the Army Air Force Band later became a noted arranger in New York, composing arrangements for Sarah Vaughan, among other artists. His long career culminated with his highly regarded work for the Oregon Symphony, now as Laureate Associate Conductor. Mel Powell (1923–1998) was the pianist and one of the arrangers in the Glenn Miller Army Air Force Band. Gary Giddins comments on "[Miller's] splendid forty-two-piece Army Air Force Band's startling performance of 'Mission to Moscow.'" "Mission to Moscow" was arranged by Mel Powell, the former pianist for the Benny Goodman orchestra before he was drafted into the service and subsequently joined the Miller orchestra. "Pearls on Velvet" with the Air Force Band is also one of his compositions. "In 1949, he decided on a radical change of direction, setting aside jazz and enrolling as a pupil of the composer and teacher Paul Hindemith at Yale University." Powell started teaching at the California Institute of the Arts in Los Angeles in 1969. He won the Pulitzer Prize for Music in 1990 and was the founding dean of the music department at the CalArts. Powell was the only Pulitizer Prize winner in Music that also won a jazz poll. In 1945 He was named the Best Military Jazz Musician for his work with Miller. Addison Collins, Jr. (1927–1976) played French horn in the service band. He is featured as "Junior" Collins on the Miles Davis Birth of the Cool recordings of 1949–50. Artie Malvin (1922–2006), the baritone of the four-man vocal quartet The Crew Chiefs in Glenn Miller's AAF Band. After World War II and Miller's death, Malvin became heavily immersed in the popular music of the forties and fifties, being involved in everything from children's music to the nascent beginnings of rock to jingles for commercials. By the 1970s Artie Malvin was involved with The Carol Burnett Show, doing special musical material. George T. Simon (1912–2001) knew and worked with Glenn Miller from his early sideman days to the days of leading his civilian band and finally, worked with him when he was stateside with the Army Air Force band. Simon was a drummer for some of the Miller bands. He helped his friend Glenn Miller with personnel using the connections that Simon had as editor with the now defunct Metronome magazine. George Simon wrote the liner notes for eleven Miller reissues, among them: Glenn Miller Army Air Force Band, 1955, Glenn Miller On The Air, 1963, and Glenn Miller: A Legendary Performer, 1974. During a long career, he also wrote articles with topics ranging from Miller and Frank Sinatra to Thelonious Monk. In 1974, Simon won a Grammy award for his liner notes for the RCA record: Bing Crosby: A Legendary Performer. "Major Alton Glenn Miller (Army Serial No. 0505273), Air Corps, United States Army, for meritorious service in connection with military operations as Commander of the Army Air Force Band (Special), from 9 July 1944 to 15 December 1944. Major Miller, through excellent judgment and professional skill, conspicuously blended the abilities of the outstanding musicians, comprising the group, into a harmonious orchestra whose noteworthy contribution to the morale of the armed forces has been little less than sensational. Major Miller constantly sought to increase the services rendered by his organization, and it was through him that the band was ordered to Paris to give this excellent entertainment to as many troops as possible. His superior accomplishments are highly commendable and reflect the highest credit upon himself and the armed forces of the United States." 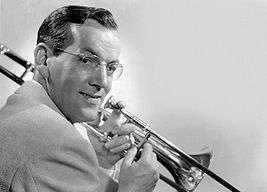 Glenn Miller had three recordings that were posthumously inducted into the Grammy Hall of Fame, which is a special Grammy award established in 1973 to honor recordings that are at least 25 years old and that have "qualitative or historical significance." ↑ The website for Arlington National Cemetery refers to Glenn Miller as "missing in action since Dec. 15, 1944" see "Major Glenn Miller", Arlington National Cemetery by Kathryn Shenkle. Accessed March 2012. ↑ Glenn Miller had 23 number one records and 72 top ten hits from 1939 to 1943; see "Song artist 6 - Glenn Miller", Tsort, Accessed March 2012, more than Elvis Presley (18 No. 1s, 38 top 10s) and The Beatles (20 No. 1s, 33 top 10s) had in their careers. See "The Glenn Miller story", GlennMillerOrchestra.se. See "Overview of Achievements", Elvis Presley Enterprises inc. Accessed September 9, 2011. 1 2 3 4 "Glenn Miller History". Glenn Miller Birthplace Society. Retrieved March 8, 2011. 1 2 Yanow, Scott. Classic Jazz. San Francisco: Backbeat, 2001. Print. ↑ "Famous Sigma Nu's", Oregonstate.edu. Retrieved on July 29, 2011. ↑ "Who Is Joseph Schillinger?". The Schillinger System. Archived from the original on February 19, 2009. Retrieved February 19, 2009. 1 2 "Glenn Miller Biography - Music Artist Band Biographies - Artists Bands Bio - Free MP3 Downloads". Music.us. Retrieved December 18, 2012. ↑ Shilkret, Nathaniel, ed. Niel Shell and Barbara Shilkret, Nathaniel Shilkret: Sixty Years in the Music Business, Scarecrow Press, Lanham, Maryland, 2005. ISBN 0-8108-5128-8. ↑ Stockdale, Robert L., "Tommy Dorsey on the Side", Studies in Jazz, No. 19, Scarecrow Press, Metuchen, New Jersey, 1995. ↑ "Red Mckenzie and his Mound City Blue Blowers". Red Hot Jazz. Retrieved 21 September 2016. ↑ Simon, George T. (1980). Glenn Miller and His Orchestra, p. 42. De Capo Press. ISBN 0-306-80129-9. ↑ Simon (1980) says in Glenn Miller and His Orchestra, on page 42, when he asked Miller years later what recordings he made were his favorites, he specifically singled out the Mound City Blue Blowers sessions. ↑ Twomey, John. "Who Was Glenn Miller?". Jazzsight.com. Retrieved May 31, 2009. 1 2 3 Simon (1980), pp. 65–66. ↑ The Big Broadcast of 1936 (1935) – Full cast and crew list., Internet Movie Database. ↑ Spink, George. "Music in the Miller Mood". ↑ Simon (1980), p. 122. ↑ "New King". Time. November 27, 1939. ↑ Simon (1980), p. 91. ↑ The entire output of Chesterfield-sponsored radio programs Glenn Miller did between 1939 and 1942 were recorded by the Glenn Miller organization on acetate discs. ↑ Simon (1980), pp. 197, 314. ↑ King ?, Pete. "Lynn Bari's Ghost Singer Pat Friday". Big Band Buddies. p. 1. ↑ Henry, William A. (1993). The Great One: The Life and Times of Jackie Gleason. New York: Pharos. p. 4. ISBN 0-8161-5603-4. ↑ "DVD Savant Review: Orchestra Wives". DvD Talk. October 27, 2005. ↑ Harry/Henry Morgan was also cast in 1953's The Glenn Miller Story as Miller's pianist, Chummy MacGregor. See "The Glenn Miller Story", TCM.com. ↑ Miller co-wrote with Billy May the instrumental "Boom Shot" for the Orchestra Wives soundtrack. See Moonlight Serenade, p. 428, for catalogue listing by 20th Century Fox and writing credits. ↑ Variety, September 16, 1942. ↑ "Glenn Miller: 'A Memorial, 1944–2004'", Big Band Library. Retrieved on July 29, 2011. ↑ Simon (1980), p. 241. ↑ For an example, see a mention in Time magazine from November 23, 1942. "U.S. jive epicures consider the jazz played by such famous name bands as Tommy Dorsey's or Glenn Miller's a low, commercial product", Time, web: Music: "Jive for Epicures", Time. ↑ Zammarchi, Fabrice (2005). A Life In The Golden Age of Jazz: A Biography of Buddy De Franco. Seattle: Parkside. pp. 232–234. ISBN 0-9617266-6-0. ↑ Albertson, Chris, Major Glenn Miller and the Army Air Forces Band, 1943–1944, Bluebird/RCA, 1987. Liner notes. ↑ Another reference by Miller's friend George T. Simon, states "[Glenn Miller] resented critics who focused almost entirely on his band's jazz or lack of it. (Leonard Feather was a pet peeve)[...]." see Simon (1971),The Sights and Sounds of the Big Band Era, p. 275. ↑ "Stride and Swing: The Enduring Appeal of Fats Waller and Glenn Miller". The New Yorker. 2004. ↑ Among Gunther Schuller's credentials are Professor of Composition at Yale University, Artist in Residence at the University of Wisconsin Madison and former president of the New England Conservatory of Music. He is also the past recipient of the Pulitzer Prize. See Wisc.edu URL: Wisc-schuller. 1 2 Gary Giddins is a New York based jazz and film critic who has written for the Village Voice and the New York Sun. He won the National Book Critics Circle Award for Visions of Jazz: The First Century. See "Biography", GaryGiddins.com. 1 2 3 4 Schuller, pp. 662, 670, 677. ↑ Armstrong, Louis. "Reel to Reel". The Paris Review. Spring 2008: 63. ↑ Zwerin, Mike (August 17, 1995). "George Shearing at 76:Still Holding His Own". International Herald Tribune. Retrieved November 8, 2014. ↑ Simon (1971), p. 359. ↑ Frank Sinatra's recording sessions from the late forties and early fifties use some Miller musicians. Trigger Alpert, a bassist from the civilian band, Zeke Zarchy for the Army Air Forces Band and Willie Schwartz, the lead clarinetist from the civilian band back up Frank Sinatra on many recordings. see , for Sinatra record sessions for Columbia and Capitol that use these musicians. ↑ Ernie Caceres, the Miller band's baritone saxophonist also appears on several Frank Sinatra recordings. For one example see October 22, 1947. ↑ Susman, Gary (2005). "Goodbye: Jazz titan Artie Shaw dies. The clarinet master and top swing-era bandleader was 94". Entertainment Weekly. ↑ For another source that intercuts critiques by Gary Giddins and Artie Shaw about Glenn Miller, see Jazz: A Film By Ken Burns. Episode Five. Dir. Ken Burns. 2000. DVD. Florentine Films, 2000. ↑ "Buddy's Bio". Buddy DeFranco. Retrieved November 8, 2014. ↑ Simon (1980), p. 211, 355, 416. 1 2 They Served Here: Thirty-Three Maxwell Men, "Glenn Miller", pp. 37–38. Benton, Jeffrey C. (1999). Air University Press. ↑ EMI at this time was the British and European distributor for RCA Victor. ↑ Hugh Palmer. "Glenn Miller: The Lost Recordings". Tarcl.com (April 30, 1944). Retrieved on July 29, 2011. ↑ "Wehrmacht Hour" (Audio recording (23:08-23:13)). otrrlibary.org. 1944. Retrieved 22 July 2015. ↑ Visit Abbey Road. "1940s", Abbeyroad.com (September 16, 1944). Retrieved on July 29, 2011. ↑ James H. "Jimmie" Doolittle – Outstanding Man of Aviation. centennialofflight.net. Retrieved on July 29, 2011. ↑ "Legendary bandleader Glenn Miller disappears over the English Channel", History.com. ↑ Simon (1980), pp. 354, 434. ↑ Henry Mancini at All About Jazz, Allaboutjazz.com. Retrieved on July 29, 2011. ↑ Simon (1980), p. 258. ↑ "Developer Buying Hollywood Palladium", Yehoodi.com. Retrieved July 29, 2011. ↑ Simon (1980), p. 439. ↑ George Simon (1980) in Glenn Miller and His Orchestra, p. 439, says it happened in December 1950. ↑ "Former Leaders". 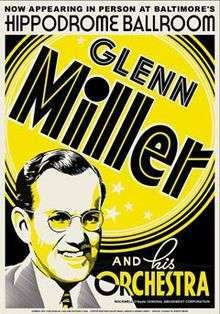 Glennmillerorchestra.com. Retrieved April 16, 2012. ↑ "Glenn Miller Orchestra". Glennmillerorchestra.com. September 5, 2012. Retrieved December 18, 2012. ↑ "Devon Theatre – Review – Glenn Miller Orchestra at Plymouth Pavilions". BBC News. Retrieved July 29, 2011. ↑ Glenn Miller Orchestra :: Portrait Wil Salden, Glenn-miller.de (October 20, 2010). Retrieved on July 29, 2011. ↑ "Big Bands Database Plus", Nfo.net. Retrieved on July 29, 2011. ↑ retrieved January 4, 2009, Glennmiller.org (June 10, 2010). Retrieved on July 29, 2011. ↑ Ray Eberle, Marion Hutton and Tex Beneke do not appear in or are referred to in this movie. "Perhaps the only faults The Glenn Miller Story can be cited for are the obvious liberties that were taken with the band leader's career and a tendency to become overly sentimental at times," see Richard Steiner, The Glenn Miller Story. ↑ "Glenn Miller Biography", Internet Movie Database. ↑ In June 2009, it was announced that the Glenn Miller Birthplace Society in Clarinda, Iowa, was building a 5,600 foot museum to house "memorabilia from [Glenn Miller's] musical career". The museum in Glenn Miller's birthplace has been in the works since 1990, according to the USA Today article. ↑ "Glenn Miller Archive". University of Colorado. ↑ "CU-Boulder's Glenn Miller Archive Receives Major Gift Including Seldom-Heard Music", University of Colorado at Boulder (May 1, 2007). Retrieved on July 29, 2011. ↑ "Glenn Miller". Twinwoodevents.com (August 30, 2010). Retrieved on July 29, 2011. ↑ Papazian, Rita (January 31, 1999). "Glenn Miller's New Haven Connection". The New York Times. Retrieved November 8, 2014. ↑ "Hollywood Star Walk-Glenn Miller". Los Angeles Times. Retrieved November 8, 2014. ↑ "Song: In The Mood", ShapiroBernstein.com. ↑ "Eddie Durham", Sony BMG. Retrieved on July 29, 2011. ↑ "Jerry Gray "A String of Pearls"". Big Band Library. Retrieved December 18, 2012. ↑ "George Williams, Musical Arranger, 71". The New York Times. 21 April 1988. Retrieved 21 September 2016. ↑ Gottlieb, Jeff (January 8, 2000). "Vic Schoen, Musician and Composer, Dies at 83". Los Angeles Times. ↑ "Years later he married Miller singer Marion Hutton". IMDb.com. Retrieved December 18, 2012. ↑ "Glenn Miller, part two", Big Band Library. Retrieved on July 29, 2011. ↑ "PBS – JAZZ A Film By Ken Burns: Selected Artist Biography – Glenn Miller". PBS. Retrieved November 8, 2014. ↑ "'Space Age Musicmaker George Siravo' George Siravo biography/" retrieved September 3, 2009. ↑ See , three songs are listed as collaborations between Day and Siravo, beginning with "It's Magic", recorded in 1947. ↑ "Billy May biography", Internet Movie Database. retrieved November 17, 2008. ↑ "Billy May Biography, Swingmusic.net. Swingmusic.net. Retrieved on July 29, 2011. ↑ Billy May was hired from Charlie Barnet's band by Glenn Miller and joined in 1940. Miller and May had a wary relationship with each other. According to Will Friedwald, by 1942, May was ready to resign from the Miller band. A few reasons were, Miller refused to record half of May's arrangements and May objected to the regimented style of Miller's band. But since Miller was joining the military, he convinced May to stay on until the band broke up. May finally said around 1995, after a life of heavy drinking and going to rehabilitation for alcoholism, that working with Glenn Miller "helped me immensely. I learned a lot from Glenn. He was a good musician and an excellent arranger." see Sinatra! The Song Is You. Will Friedwald, p. 280. ↑ "Billy May", Spaceagepop.com. Retrieved on July 29, 2011. 1 2 "Fancy Meeting You Here - Bing Crosby". AllMusic. Retrieved April 16, 2012. ↑ "ColePorter". Anitaoday.com. Retrieved on July 29, 2011. ↑ "Bobby Hackett", Landing.com. Retrieved on July 29, 2011. ↑ Other Miller recordings Hackett appears on include an aircheck of "Vilia", an aircheck of "April in Paris" and the studio recording of "Serenade in Blue". Richard M. Sudhalter in his book Lost Chords feels that Hackett's best work with Miller is in an aircheck version of "Little Brown Jug" from 1942 where he plays off the "muscularity" of Tex Beneke's saxophone solo. Sudhalter sees this version as done in a "slower, more rocking tempo than on the 1939 Bluebird recording". Before, during and after the time Miller hired Hackett, Hackett had a large reputation in the jazz community. George Simon says in the same book, that whenever Hackett soloed with the band, "fellow sidemen 'obviously as excited as the dancers, stopped to listen to Bobby solo'." All aircheck information from Sudhalter, Richard (1999). Lost Chords. New York: Oxford University Press. p. 928. ISBN 0-19-505585-3. ↑ "Bobby Hackett", Space Age Music Maker, Retrieved on July 29, 2011. ↑ Wahls, Robert (November 19, 1965). "Johnny Arrives at the Garden". Sunday New York News. ↑ "Kay Starr". IMDb.com. Retrieved December 18, 2012. ↑ The songs Starr sang were in Hutton's key and Starr said she sounded like "a jazzed up Alfalfa" since they weren't in her range. "'They would ask me, 'is that in your range? and I didn't know so I just said yes because I only knew two kinds of ranges-one of them you cooked on and the other was where the cows were.[...] I just loved music and I thought as long as I start and end with the band I've done my job." Kay Starr to Will Friedwald, A Biographical Guide To The Great Jazz and Pop Singers, 2010, New York, Pantheon Books, p. 443. ↑ Who is Kay Starr? : A short biography, Members.tripod.com. Retrieved on July 29, 2011. ↑ "One of the last members of Glenn Miller Orchestra is dead - CNN.com". CNN. March 7, 2013. ↑ "Paul Tanner", Spaceagepop.com (October 15, 1917). Retrieved on July 29, 2011. ↑ Bruce Weber (February 8, 2013). "Paul Tanner, Musician With 'Good Vibrations', Dies at 95". The New York Times. Retrieved November 8, 2014. ↑ "The Paul Tanner Electrothermin Page". David S. Miller. 1997–2007. ↑ Norman Leyden's Big Band Birthday | OregonLive.com. Blog.oregonlive.com. Retrieved on July 29, 2011. ↑ Specifically, in the liner notes for The Divine Sarah Vaughan The Columbia Years 1949–1953 (1988 Columbia C2K 44165) written by Gene Lees the discography refers to "Thinking of You", "Perdido" and "I'll Know" as three Leyden arrangements for Vaughan from 1950. See page 10 of the enclosed booklet. ↑ "Inspired from Leslie Gourse's biography of Sarah Vaughan", Michaelminn.com. Retrieved on July 29, 2011. ↑ "News Release", February 27, 2004. Oregon Symphony. Retrieved on July 29, 2011. ↑ "Glenn Miller: 'A Dream Band'", Bigbandlibrary.com. Retrieved on July 29, 2011. 1 2 "Mel Powell: 1923–1998", Jazzhouse.org. Retrieved on July 29, 2011. ↑ Giddins, Gary (January 7, 2009). "Stride and Swing". The New Yorker. Retrieved July 29, 2011. ↑ "Mel Powell", Schirmer.com. Retrieved on July 29, 2011. ↑ Kozinn, Allan (April 27, 1998). "Mel Powell, Atonal Composer who won Pulitzer, dies at 75". The New York Times. Retrieved August 2, 2012. ↑ "The Jazz Horn". Harlan Feinstein. 2006. 1 2 "Artie Malvin", Spaceagepop.com. Retrieved on July 29, 2011. ↑ "The Carol Burnett Show: Full cast and credits". IMDb.com. Retrieved December 18, 2012. ↑ "Critics, Journalists and Other Writers: George T. Simon". Chris Popa. 2004. ↑ see Chris Popa for list of liner notes by George Simon on Glenn Miller records. ↑ Grammy Hall of Fame Database Archived July 7, 2015, at the Wayback Machine..